Watched The Collaborators broadcast live from the National Theatre, London to the GFT (Glasgow Film Theatre). Absolutely dog, dog tired and fell asleep 100 times during the course of it. The acting was excellent but the subject matter, Josef Stalin and the moral chaos he caused in the Soviet Union, was very familiar to me and the play added little in the way of a new perspective - but then I was tired. 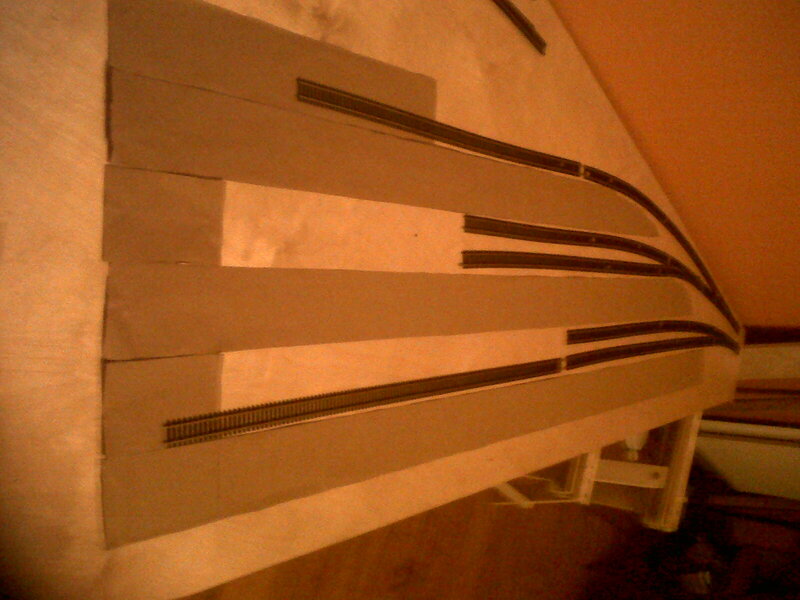 Have laid down track in almost the final formation. Not yet at the stage of pinning it to the board. The next stage is to bring power to the track. That will come from cables that will be situated underneath the baseboard. Holes will then be drilled to bring feeder wires from this heavy duty cable to the track itself. 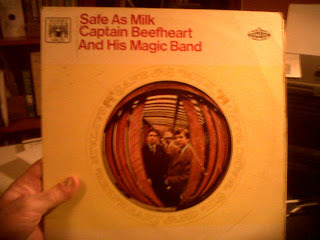 Finally, Captain Beefheart. This record I bought at a Butlins Holiday Camp in the late 1960s. For some reason, my copy was released on Marble Arch records which was a budget label of the time specialising, as I remember, in light music! Although Trout Mask Replica is hailed as his masterpiece, it is Safe as Milk that I've played most frequently over the years.